In this video from Australia Network, you will learn language and techniques for giving clear, structured presentations. 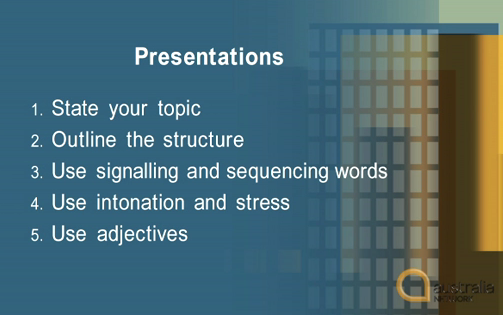 This include expressions for signalling the different parts of your talk, and practice of intonation and word stress. Video time; 10 minutes 17 seconds. Activity time: 15 to 40 minutes.